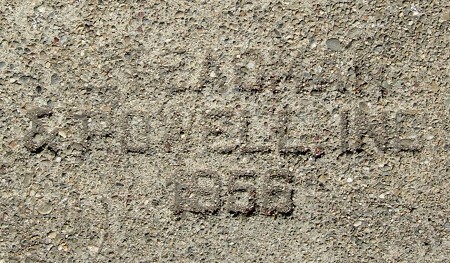 Once again I’ve run short of sidewalk stamps, so until I can rustle up some more here are a few special dated things. 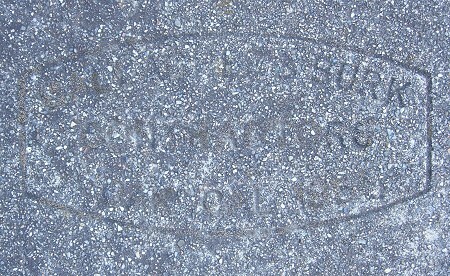 This 1956 vintage fire hydrant is up by Leona Canyon. 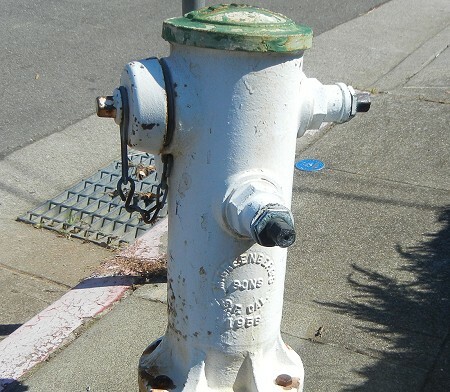 Anybody see other hydrant makers who dated their work? 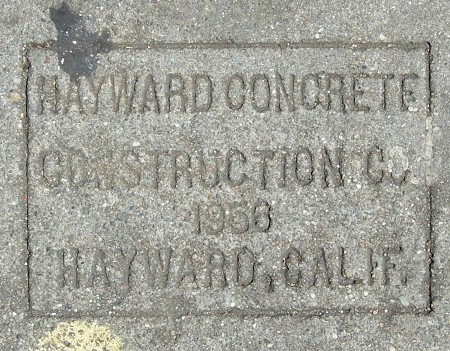 1956 – Hayward Concrete Construction Co.
Out in Deep East, parts of E. 14th Street didn’t get made over. 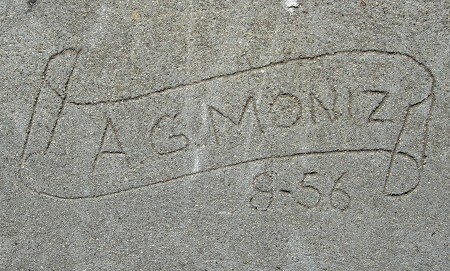 This is a new maker for me, in a part of town where I didn’t expect any maker’s marks at all. 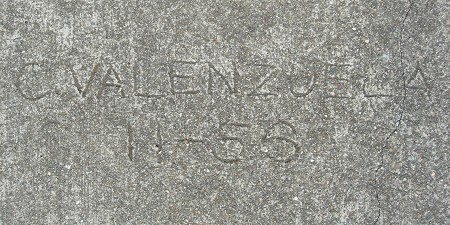 An unusual large, hand-drawn mark by Valenzuela. 1956 – Steadman & Powell Inc. I am excited by this modest mark, which not only gives me my first date for the Steadman & Powell firm, but also a third configuration: a rare thirties-style mark, the standard block style and this one, which denotes the team as an incorporated firm. 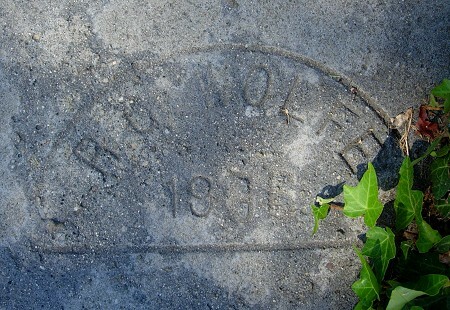 This mark completes my survey of Fruitvale Avenue, a major thoroughfare that goes from the Bay to the Oakmore hills.